With an ageing fleet of boats, the Portsmouth Victory Class began to look at options of how to preserve their fleet through the building of GRP Victory Class boats. 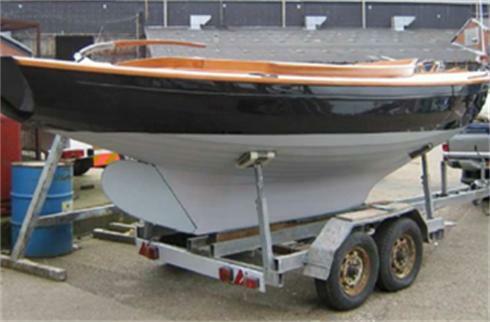 After a nationwide search David Heritage Racing Yachts were appointed in 2006 to produce the mouldings and build the first GRP Victory Boat. The main reason for choosing David Heritage Racing Yachts was based upon their reputation and their established Etchells expertise. The class and David Heritage Racing Yachts have been meticulous in ensuring that the new boats will be of the same weight and weight distribution as those existing for that both types of boat can race evenly against one another as befits it strict ‘one-design’ philosophy. 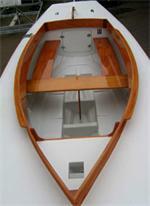 The building of the first Victory Z73 was funded by the Class and was sailing in 2007. The fifth boat is being delivered November 2008. Jeremy Lear of the Victory Class at 02392 383176.